See chart for leg support options. See below for Product Description and Specifications. 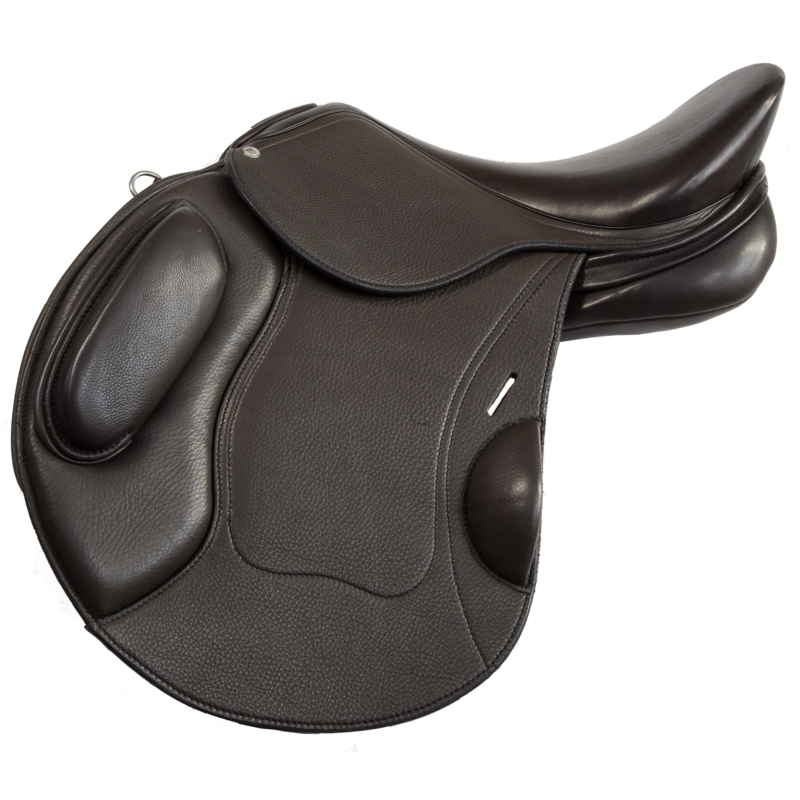 This general purpose type hunter jumping saddle is the second in our ‘horse will thank you’ series popular with riders who prefer to use the same saddle for flat work and smaller jumps. 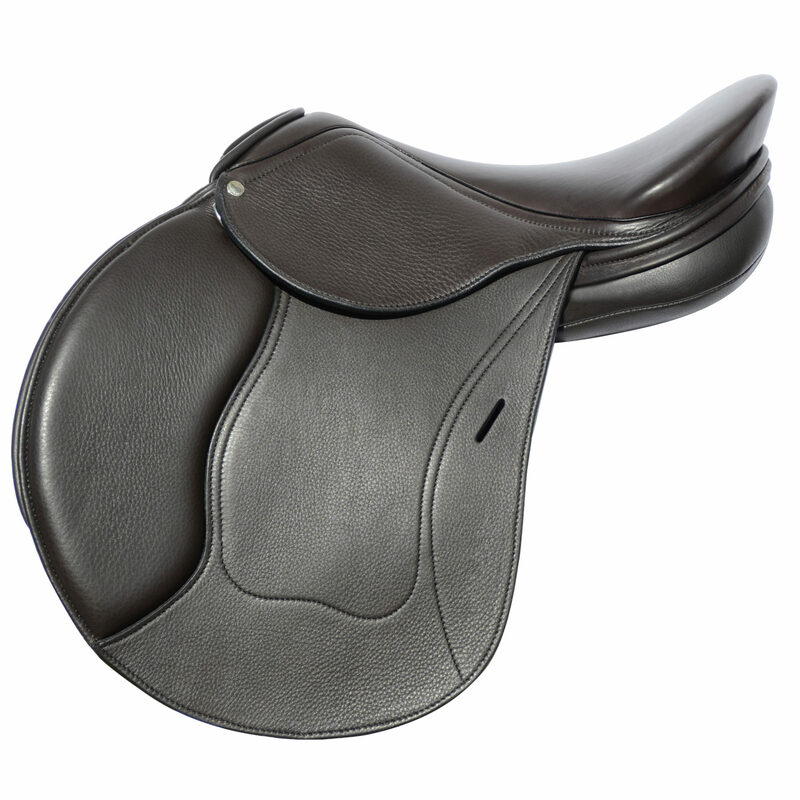 Very soft seat, well balanced, close contact with horse. 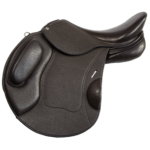 Cantle height options of 5cm or 7cm. (dark brown saddle shown with 5cm cantle option). The narrow twist allows the rider’s leg to fall and hang naturally. 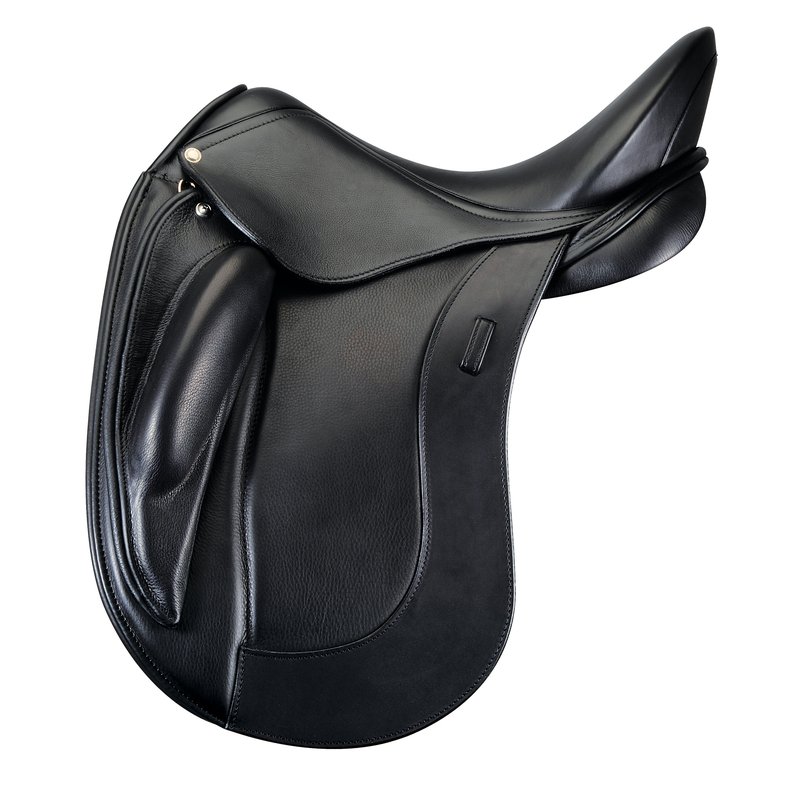 Shoulder relief / independent panel allows complete freedom of movement for horses with big shoulders (see inset). 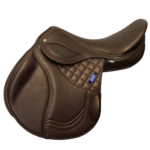 Double flap option: 3 billets under the flap are provided for use with a traditional jumping girth. 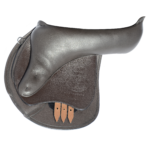 Monoflap option: long billet system is to be used with a short girth. Adjustable leg support for double flap and fixed external leg support for monoflap. 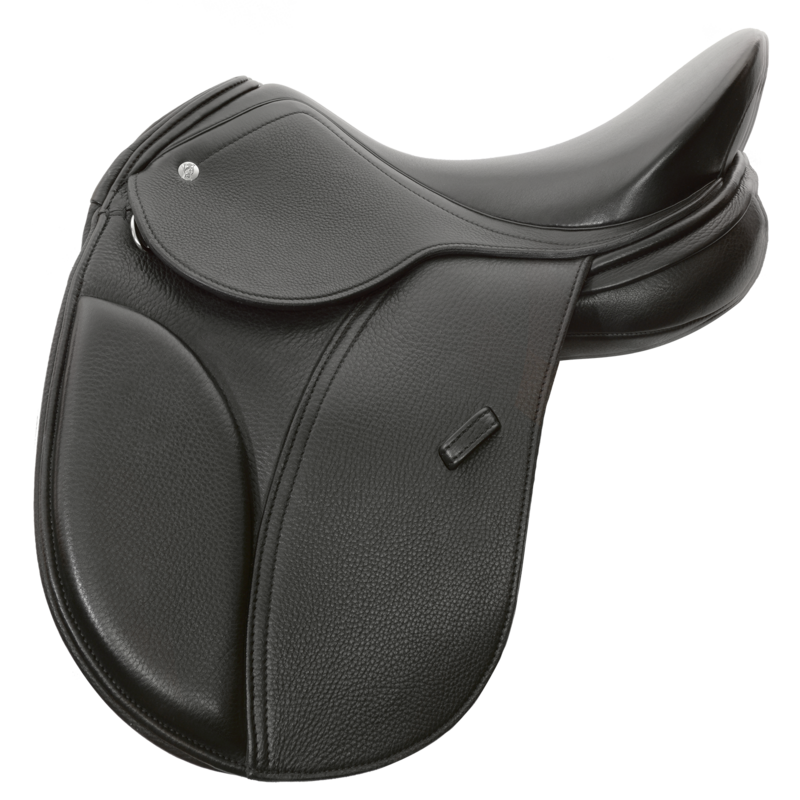 I’m a foxhunter and low level eventer and I had a very hard time,finding a saddle to fit my ISH homebred, to the point that I was going to have to sell him. As soon as we put the Merci on his back he stretched and took a deep breath, like FINNALLY, a saddle that fits. Love the balance and the close contact. Excellent choice for a short backed horse. My horse is short-backed with a laid-back shoulder. As she progresses in her work she gets even shorter! 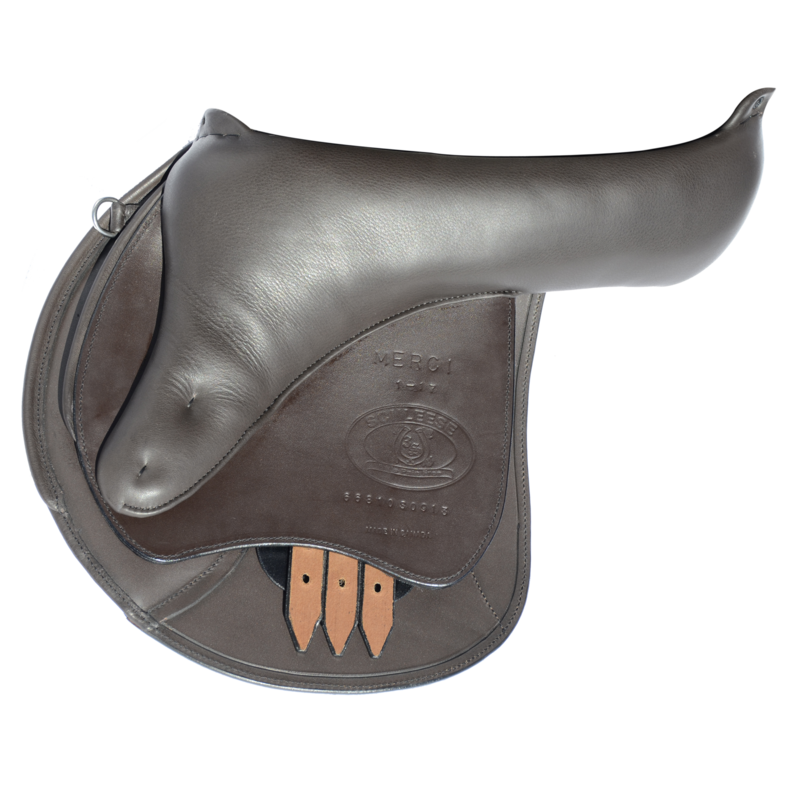 My Schleese saddle fitter suggested either modifications to my Triumph, or the Obrigado, since I couldn't face three weeks without a saddle, I ordered the Obrigado. Even though my Triumph had been recently refitted, I noticed an immediate improvement in my horse’s way of going, and I noticed that I no longer had to "squiggle around" to get in the right spot. I was there from the moment I sat on the saddle.